Gorgeous renovation! 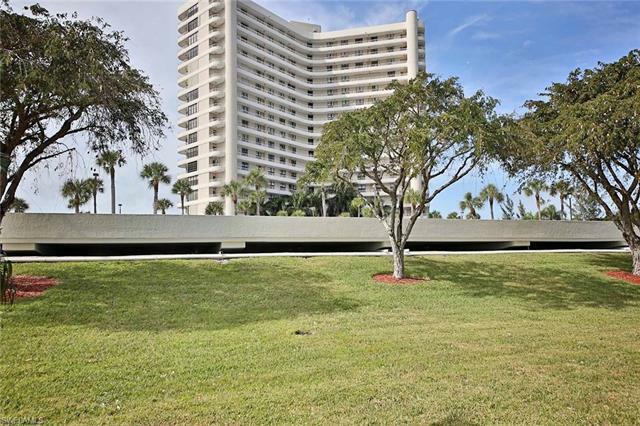 This desirable SST4 unit is located on the South side of the building for max. sun exposure and in the "9 stack," just one back from the front. 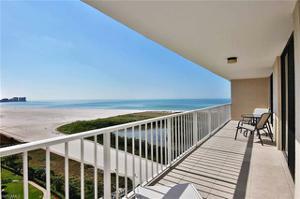 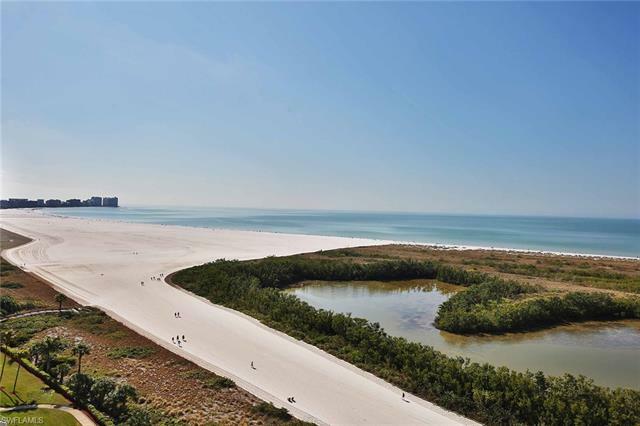 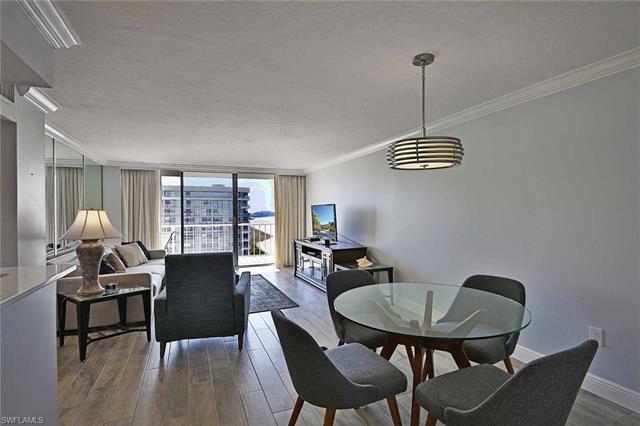 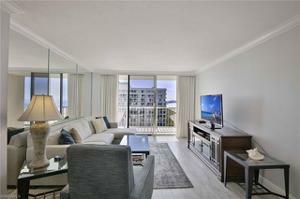 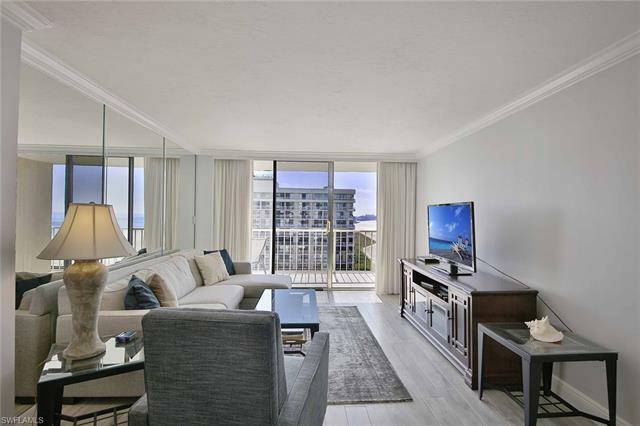 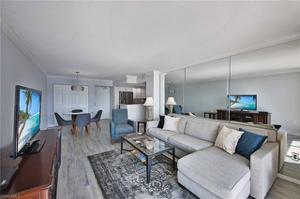 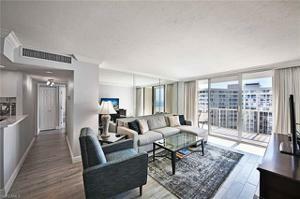 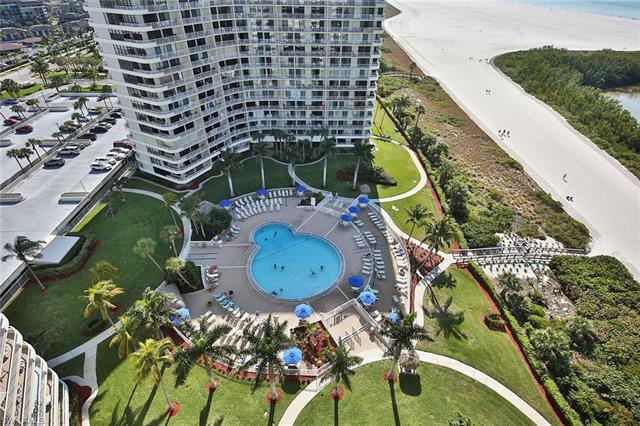 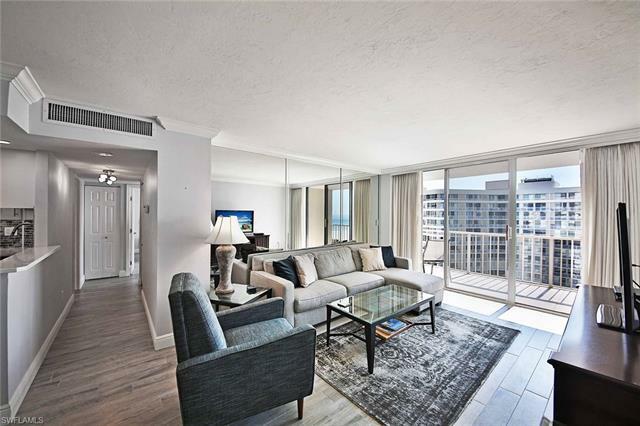 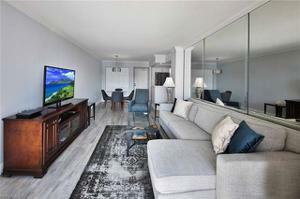 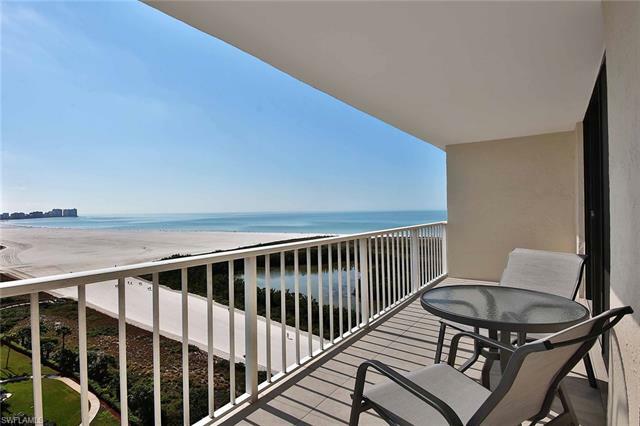 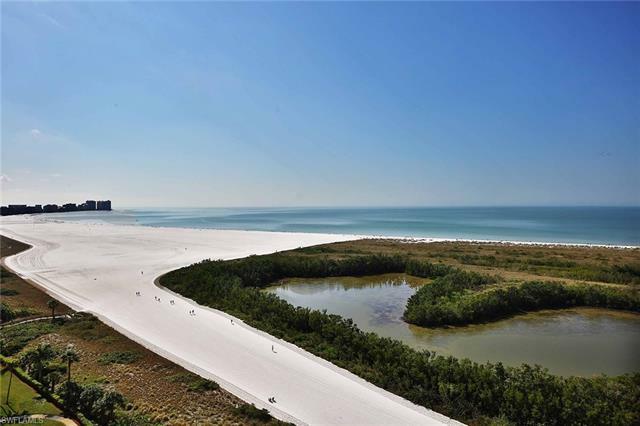 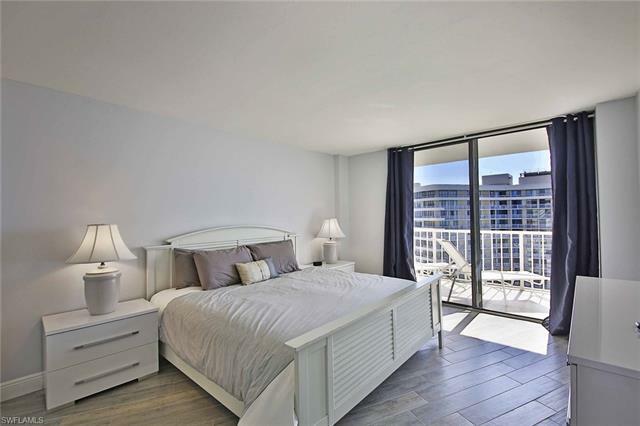 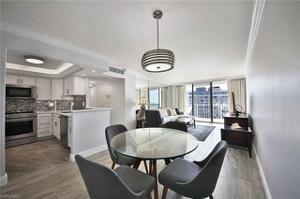 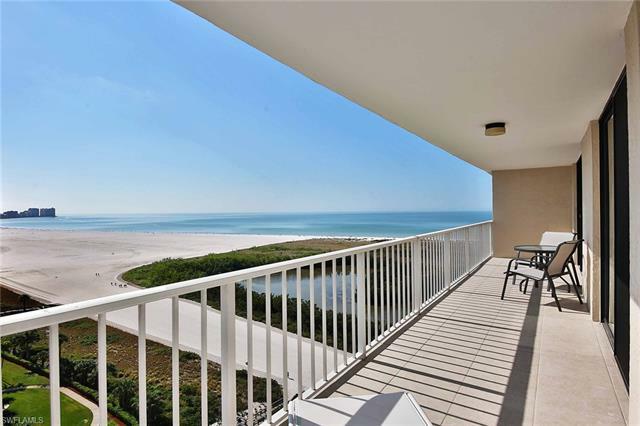 This 17th-floor unit offers stunning sunsets & sweeping views of Tigertail Beach & the Gulf of Mexico. New sliding glass doors will be installed in all 3 rooms opening to balcony that extends the length of the unit. 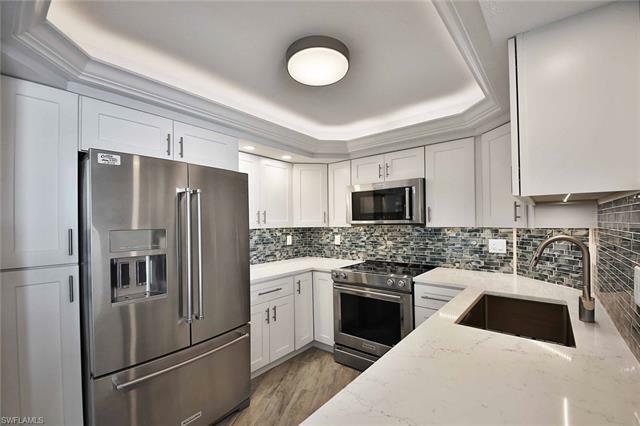 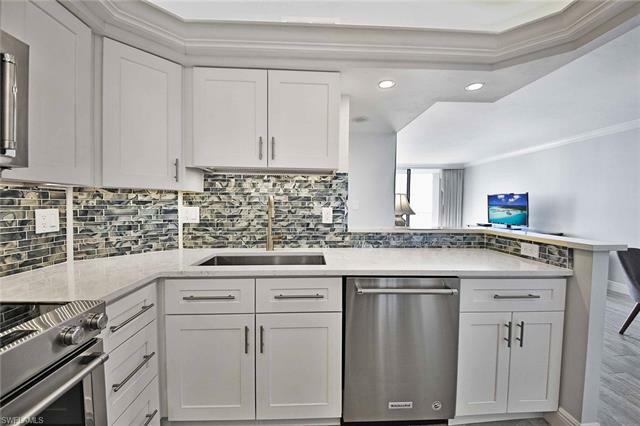 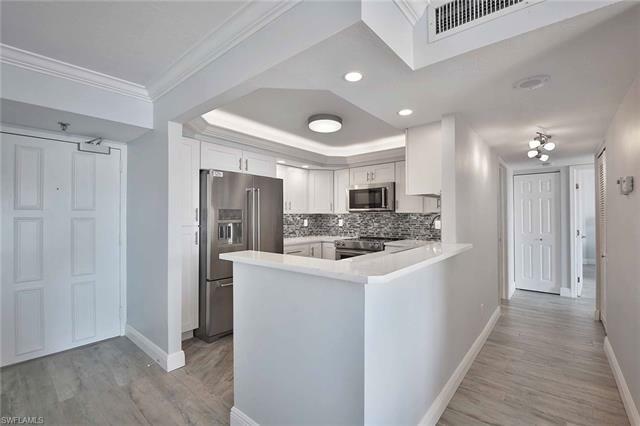 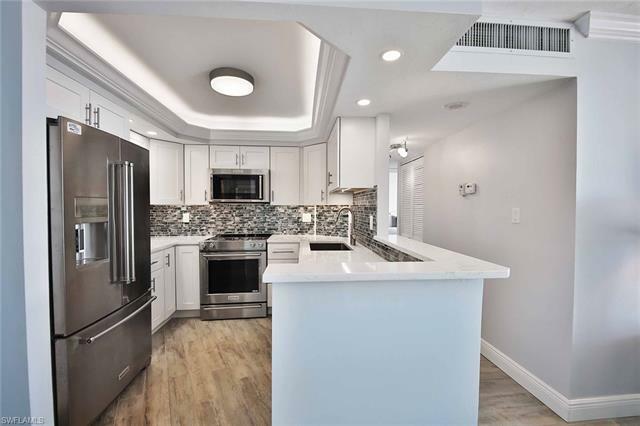 This $100,000 remodel was completed in 2017 including new furnishings, light fixtures and window dressing to complete the coastal contemporary design. 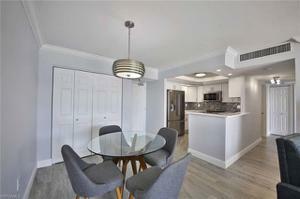 The reconfigured kitchen walls open the space to the living area. 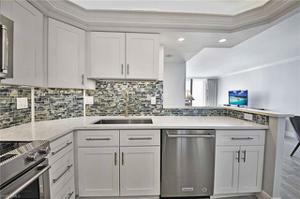 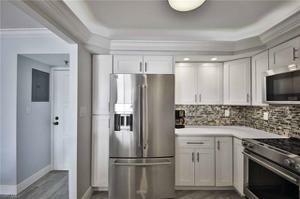 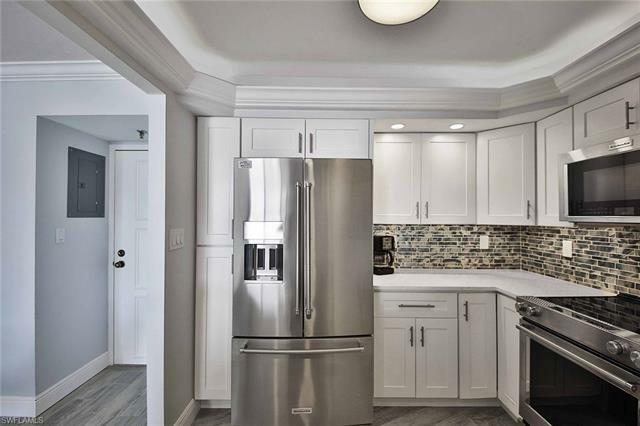 Kitchen has new s/s appliances, farmhouse sink, custom cabinets and new countertop with custom backsplash. The master suite bath was redesigned to include more closets, barn door entrance, dual sink vanity and mirror, a huge walk-in shower with temp. 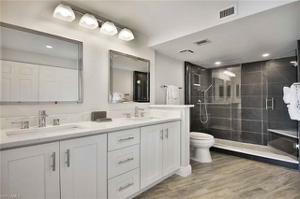 control, frameless shower doors & tile accents. 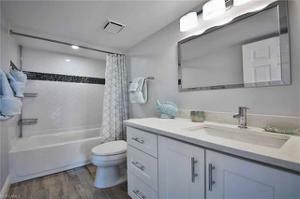 The guest bath is finished with similar upgrades! 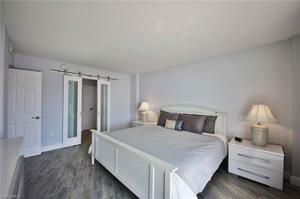 Wood planking floors are throughout, molding, doors and much more. 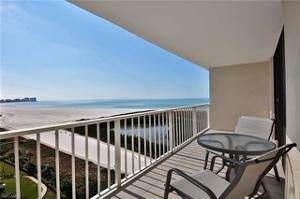 Fantastic rentals! 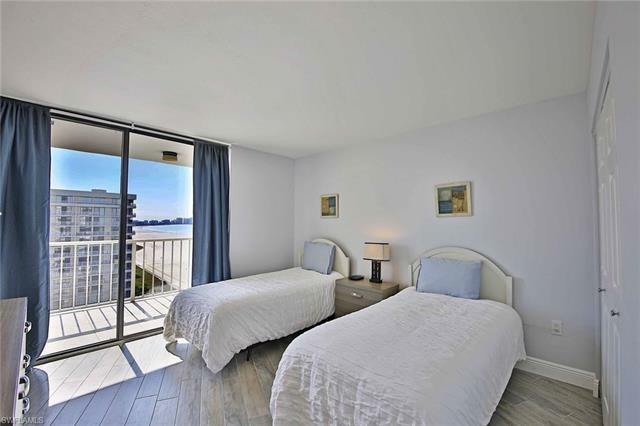 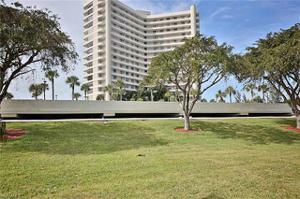 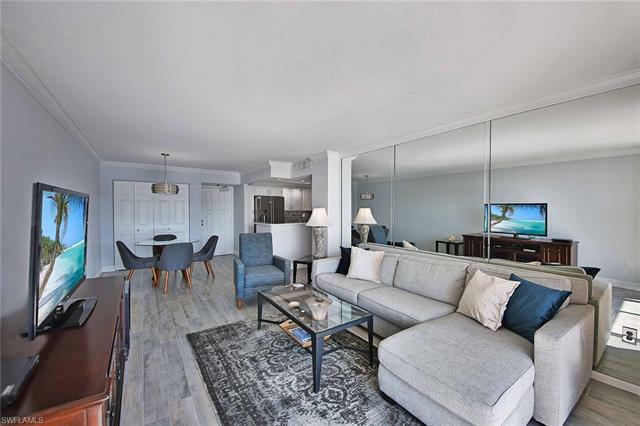 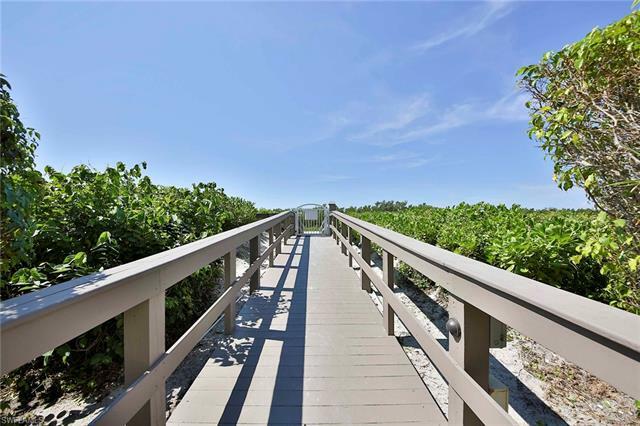 Amenities include: gated with garage parking, pool, exercise room, tennis, pickleball, boat dock lease and beach boardwalk!